Better Call Saul keeps your adrenaline levels high, says Paloma Sharma. There’s a whole lot of history behind this one. A spin-off of the multi-award winning, critically acclaimed Breaking Bad, Better Call Saul picks up after the events of Breaking Bad and follows the adventures of James ‘Jimmy’ McGill, who goes by the alias of Saul Goodman. Jimmy McGill (Bob Odenkirk), a once small scam artist, is now a small time public defence lawyer who is struggling to make ends meet. He's fiercely protective of his older brother Chuck (Michael McKean), who is struggling with what one can safely assume is a mental breakdown. Chuck built a successful law practice with Howard, called Hamlin, Hamlin and McGill, but ever since Chuck’s breakdown, Jimmy has been trying to get Howard to cash out Chuck’s 17 million dollars -- something that both Chuck and Howard are against. Left with bills to pay, a dependent to care for and barely any source of income, Jimmy turns back to his old ways. Enlisting the help of twins who tried to scam him by running into his car purposely in order to collect damages, Jimmy plans to con the Kettlemans, a country treasurer and his wife who have been accused of stealing 1.6 million dollars. The Kettlemans initially sought out Jimmy for legal counsel but ended up going with Hamlin, Hamlin and McGill, which makes Jimmy bitter. Jimmy plans to have the twins pull their scam on Mrs Kettleman so that he may jump in at the right moment and save her (at which point, he hoped, he would be appointed as the family’s legal counsel). But the twins, slightly thick in the head, end up executing the scam on an identical car which is being driven by the beloved grandmother of a Mexican gangster. Thus, what was supposed to be Jimmy’s attempt to rescue his clients becomes the beginning of his time in the underworld. The show premiered on Colours Infinity a week ago and is currently on its first season. It is strongly recommended that one watch Breaking Bad before progressing to Better Call Saul for the sake of context. Additionally, Better Call Saul is six episodes old and hence, it would be better if one caught up with their repeat telecasts. Better Call Saul keeps your adrenaline levels high throughout. Much like its predecessor, the show consistently strives -- and succeeds -- to make sure that the ride is thrilling enough to be fun but not fast enough for things to end in a rather ugly explosion. Creators and executive producers Vince Gilligan and Peter Gould control the movement of the plot with an iron fist. The story never slips and just when you least expect it, another twist in the tale jumps out at you and takes you by surprise. The element of surprise, and the added spark that lights up in all our minds the moment we feel danger around the corner, keeps Better Call Saul fresh and keeps the rest of us coming back for more. 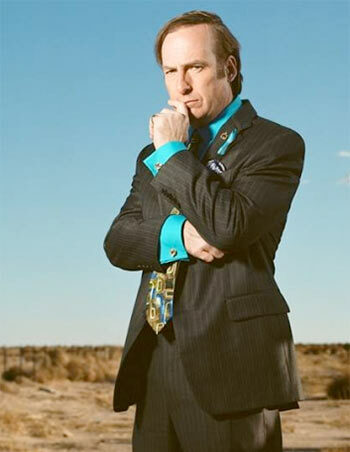 Despite being a spin off, Better Call Saul could easily do without its roots -- if one can call Breaking Bad that -- chiefly because of its titular character. Jimmy McGill is someone you can relate to and yet, he is not. He is caught in the rut of making a living and desperate to get out of his situation like everyone else. Unlike everyone else, however, Jimmy is extremely quick on his feet and will say just about anything to get what he wants. Both endearing and despicable, Jimmy will make you question your own moral standards as you find that you cannot help but fall in love with in. Styled in the same vein as Breaking Bad, Better Call Saul has the potential to outperform BB but only time and more episodes (please, more episodes!) will tell whether it actually will. Either way, Better Call Saul is what TV dreams are made of. You’d best not miss it.